Back in December, I bought this Wilton Silicone Shot Glass Mold with plans to make some desserts for New Year's celebrations. With the hubbub of birthdays and Christmas, by the time New Year's Eve rolled around I was exhausted and never did get around to using it. I was recently thinking about what kind of Easter treats I could make this year. I remembered that I had this mold tucked away and figured I better do something with it before Jason started griping about buying another kitchen gadget that I never use. After a bit of brainstorming, I thought it would be fun to use it to make some edible Easter baskets. These "baskets" are super simple to whip together and will make a splash on your Easter party spread. Made with either white chocolate or Wilton Bright White Candy Melts, Twizzlers Pull-n-Peel Licorice Twists, and icing decorations, then filled with pudding and topped with edible grass and egg shaped chocolate candies, these Easter baskets are totally edible. Melt candy melts according to package directions. If using white chocolate chips, melt over a double broiler over low heat. 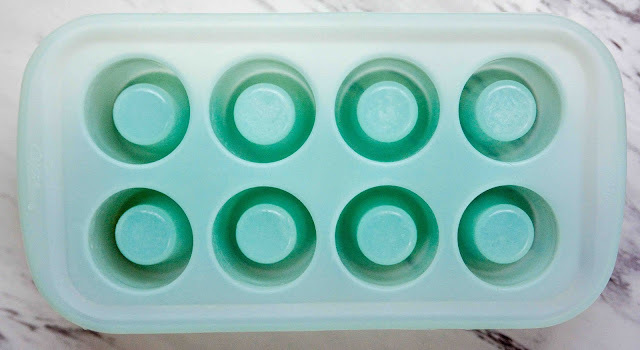 Pour melted candy into silicone molds. Allow to set. Meanwhile, mix pudding according to package directions. Set aside. Remove set candy from molds. Pull 3 strands of licorice from the licorice rope, keeping all 3 strands in tact. Using a dab of melted chocolate, coat both ends of 3 strands of licorice. Gently place ends of licorice to the top of the basket, forming an arc for the handle. Hold in place for several seconds, until set. Using a dab of melted chocolate, coat the back of the sugar icing decorations and adhere to the front of the basket. Fill the baskets with pudding, top with edible grass, then candy eggs. Refrigerate until ready to serve. If you want to keep party cleanup to a minimum, make a few edible chocolate spoons with a Silicone Spoon Chocolate Mold topped with a few sugar icing decorations. So festive and fun! What are some of your favorite Easter treats? How exquisitely delightful! You know I adore me white chocolate! I especially lurv the lil' bunnies tails :) And those eggs on top are adorable! You can put a bit of poppy seeds or black chocolate crumbs into the white chocolate to get the marble effect on the cups sometime. Such fun. Allison told me I needed to marble the chocolate too for a basket weave look, but I'm lazy ;) Maybe some more creative bakers will try it then share the pics with us. That is so neat! You did an amazing job on these. I love how cute they are, and being edible is a great idea. Those are so adorable. I have to do this for Easter this year. That's such a creative idea. They don't take very long to make, so they are a great last minute party treat! Om nom nom nom. So here's what I'm gonna do. I'm gonna make these. And then I'm gonna bask in the glory of my kids wondering how I made these. And then when they're not looking, I'm gonna eat them! Bwahahaha. This is such a cute idea. 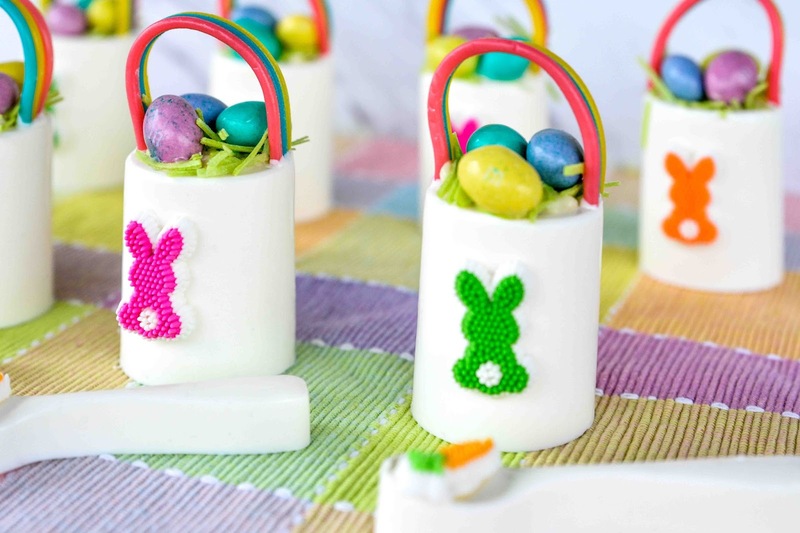 What a fun way to add something sweet to your Easter spread. Wow, that is a neat idea indeed. The Easter bunny sure goes all out at your place. Oh these are too impressive! It would be so fun to bring these out after some Easter egg hunting. Hey! No more Easter baskets to put away! You can just put them in your belly! I like this recipe. Goodness, could these be any cuter?! With a little personalization, I can see them making fun table markers for Easter dinner. I just do not see why this has to be for the kids! They look delicious and I would happily enjoy one! Thanks for this great idea! These look perfect! 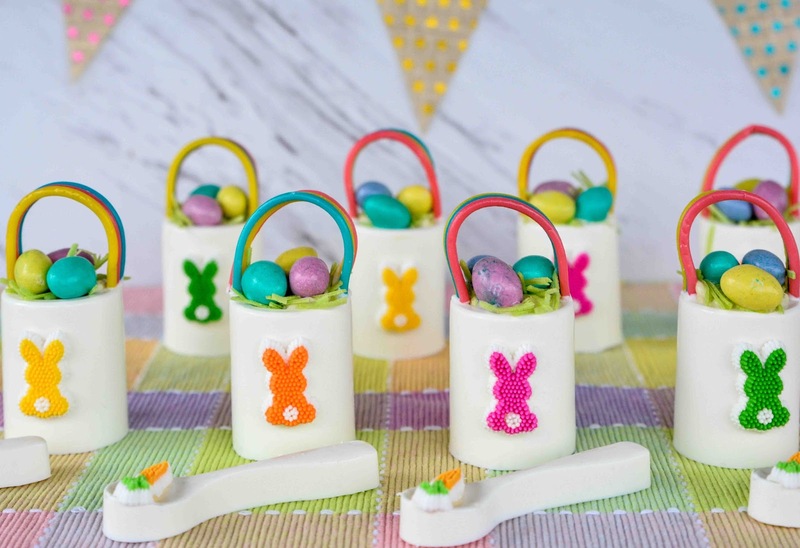 So cute for Easter treats! These are sure to be a hit! 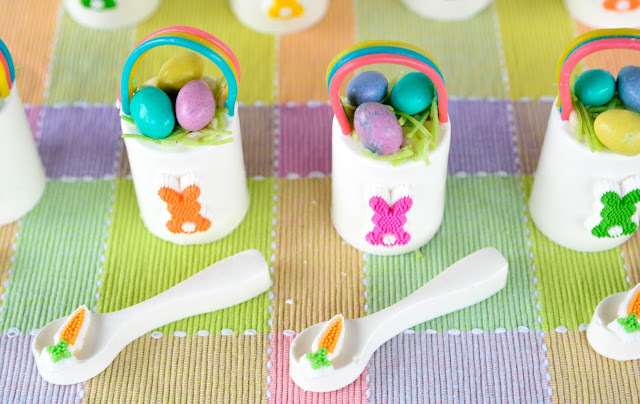 What a lovely and adorable idea for edible Easter baskets! I love that you can make it without hassle too, such an easy recipe that I make for the kids! What a great treat, eating the basket sounds amazing. I never heard of edible grass so I will try and find it. Way to use those old kitchen gadgets. Now I want that first mold! It looks like so much fun making this! Cute! These are priceless!! What a perfect (and very creative) way to use the mold! Pinning it. These are so cute! I love this idea. It is something unexpected and the kids would love them. 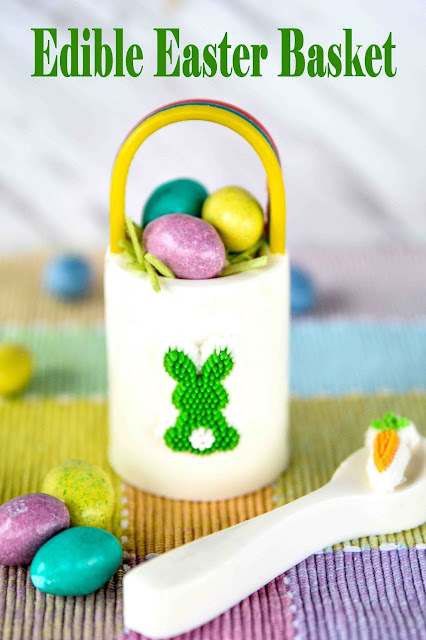 These edible Easter baskets are just so stinking cute! I could totally see them being used as party favors at a Easter party. You evil genius, delicious Easter Treats and ZERO cleanup? Sounds like a plan to me! I wish I had at least a bit of your culinary creativeness. I could not pull off something as pretty as your edible Easter baskets. I will try my best, so wish me luck! Honestly, I cannot eat these. They are just too pretty to be destroyed! I admire your skills in making such pretty and delicious treats! Your kids must adore you to pieces! I love white chocolate. In fact, I love everything now that I'm on a diet.